Let's start with breakfast. It should come as no surprise that eating new and delicious things is my favorite part of travel. But out of all the things, it's really breakfast that I love the most. Going out for dinner or lunch is a fairly common occurrence--especially here in New York City. But there is something incredibly luxurious about sitting down to a relaxed breakfast in a new city while on vacation. You're well-rested from a night in a delicious hotel bed. The hunger is real and fresh. And you know that after the meal, a full day of adventure stretches ahead. And New Orleans? 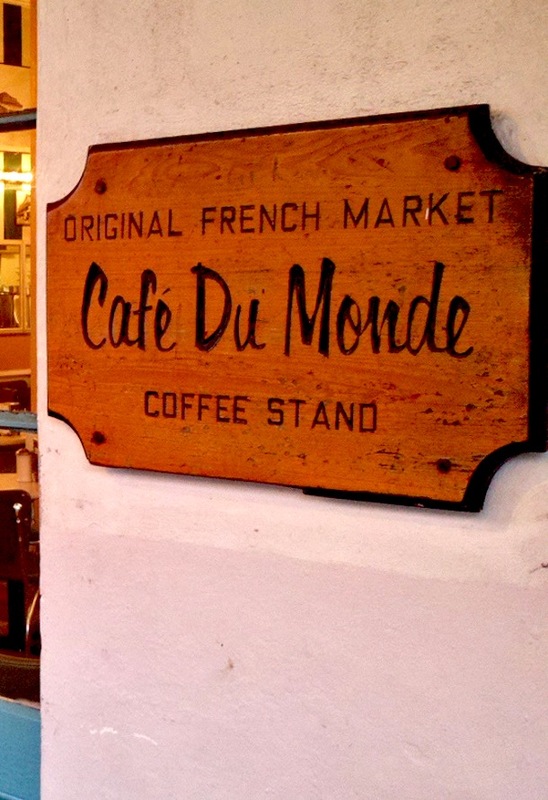 Oh, New Orleans knows how to do breakfast very, very well. 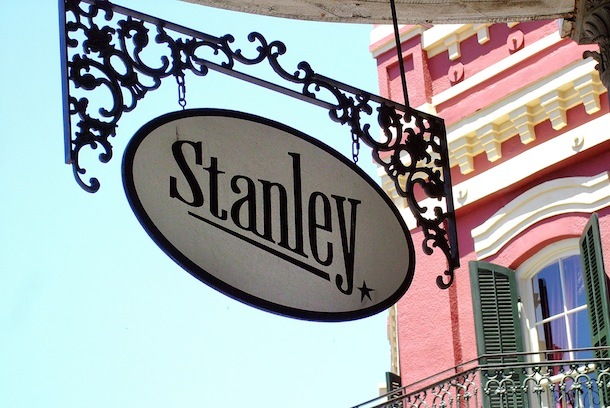 My favorite meal in New Orleans that weekend came from Stanley, a lovely casual spot located in the heart of the French Quarter on Jackson Square. Eugene found it online the previous night, and because the reviews were amazing and we both thought the name was funny, we decided to give it a shot. I admit we were a bit skeptical of its touristy location. 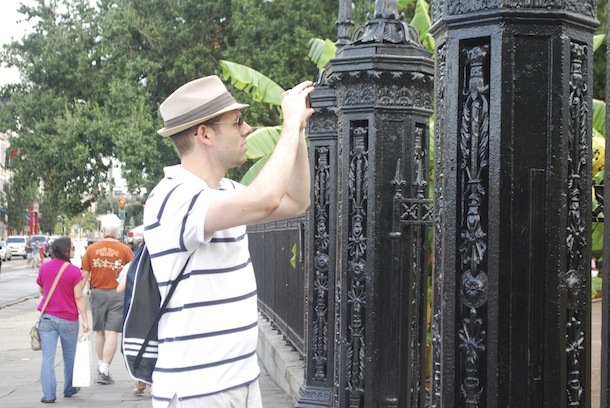 Jackson Square is a bustle of activity, even early in the morning, and we had to push through a crowd of people tossing coins at a giant mechanical man just to get to the front door. Fortunately, there was no need to worry. Inside, Stanley is lovely and cool with high ceilings, tall windows, and white marble tables and counters. 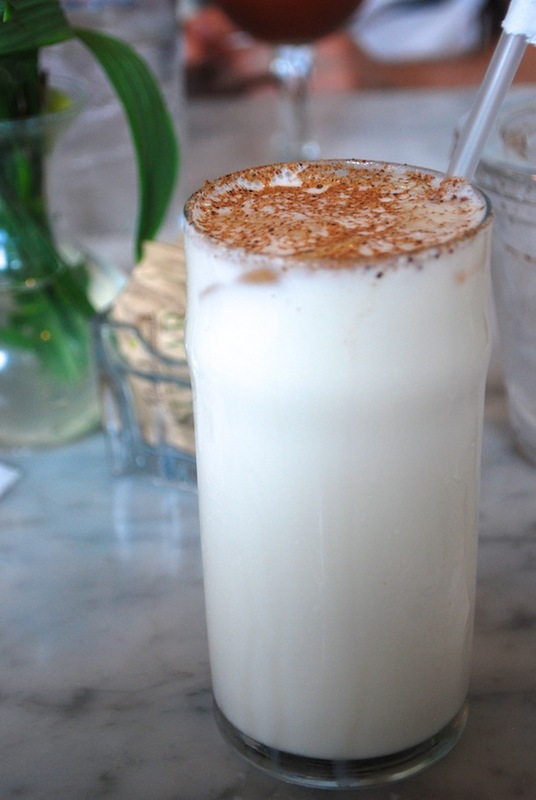 I started with that gorgeous Brandy Milk Punch pictured above, and then chose the Omelet Sandwich, which I swear is the best thing I ate all weekend. 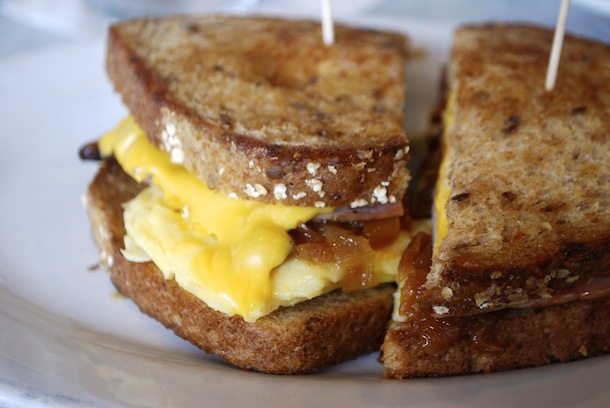 Toasted, buttery multi-grain bread filled with eggs, melted American cheese, crispy bacon, ham, caramelized sweet onions, and a spicy Cajun mayo. It was breakfast sandwich perfection, and I can't even express to you how badly I'm craving another. 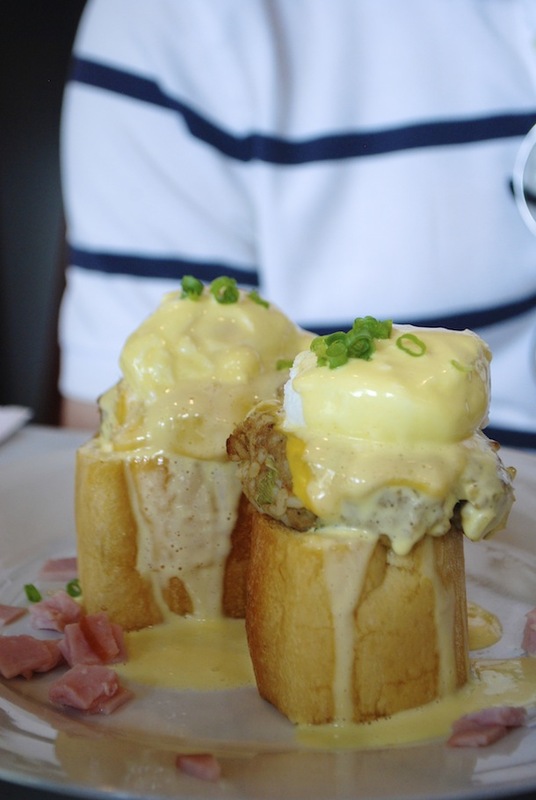 Eugene ordered a spectacular dish called the Breaux Bridge Benedict: thick French baguette slices topped with local pork boudin patties, poached eggs, cheese, smoked ham, and hollandaise. We also ordered a side of the most beautiful Corned Beef Hash I've ever seen, served over delightfully spicy Creole Breakfast Potatoes. 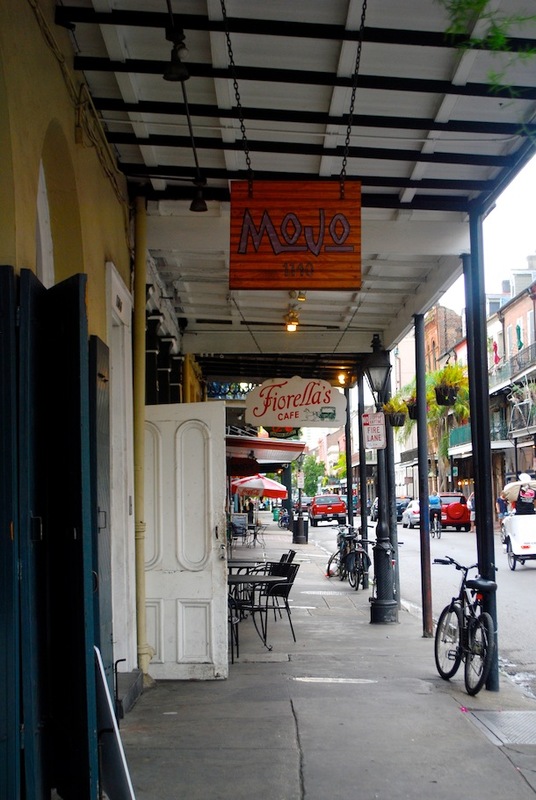 After breakfast, Eugene and I spent some time wandering around Jackson Square and the rest of the Quarter. We poked into vintage shops and a charming and possibly haunted bookstore called Crescent City Books, where I bought 7 books--something I slightly regretted as I lugged my billion pound carry-on through the airport the next day. I also dragged Eugene into every single praline and candy shop I saw to take advantage of the copious free samples. 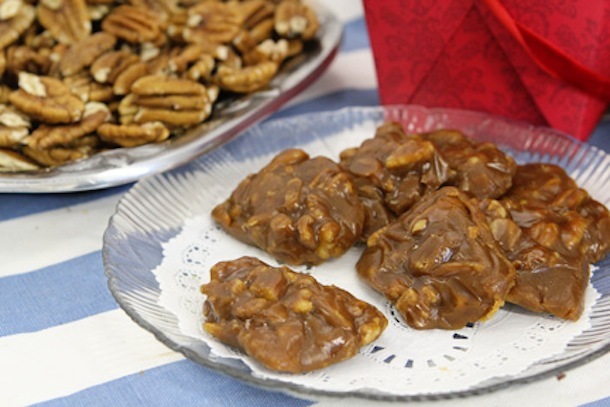 Oh, man, do I love pralines! 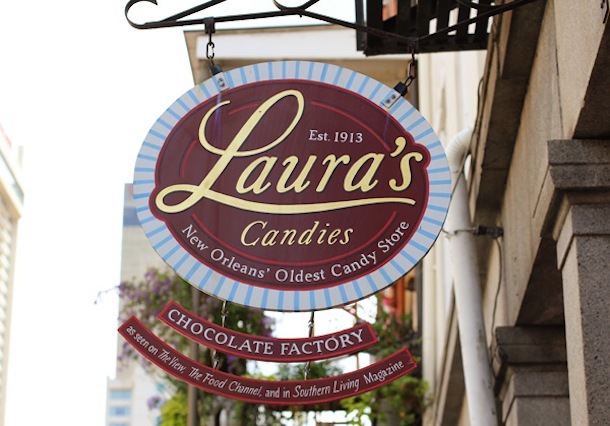 This confection is called Mississippi Mud from a store called Laura's Candies, which billed itself as "New Orleans' Oldest Candy Store." 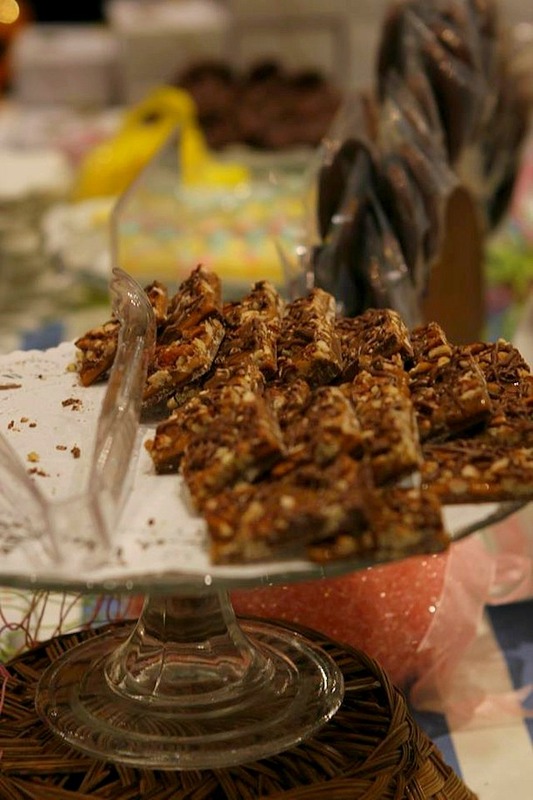 It's a layered chocolate bark made with caramel, chocolate, and pecans, and it took all I had to stop myself from buying a 2lb box of it to bring home. We, of course, had to stop at Cafe du Monde so that Eugene could have his first taste of beignets. Eugene wanted to share an order, but I put a swift stop to that, and we each got our own order of three, burning hot and piled high with powdery sugar. We also each got a cup of that famous chicory coffee. 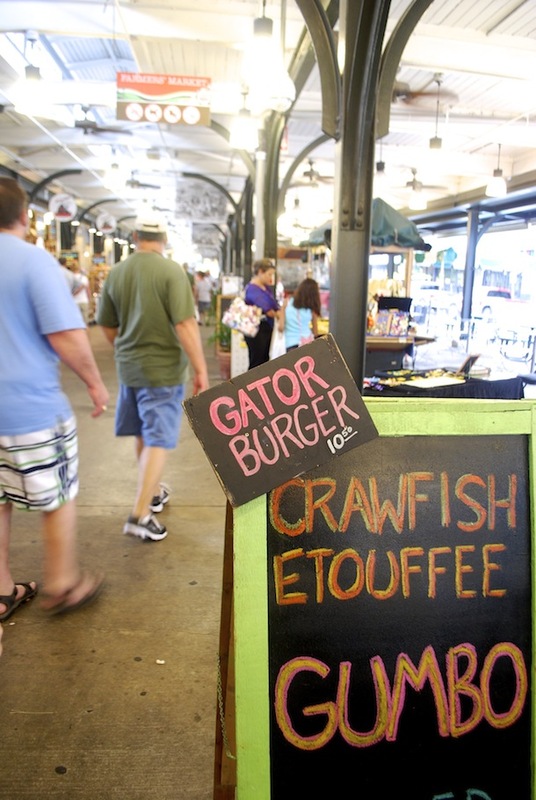 We walked the donuts off by wandering through the French Market. The flea market part wasn't very thrilling (it was very similar to the ones in NY except with more masks and beads), but the food part was magnificent. Had we not already eaten, I probably would have tried a dozen different things. 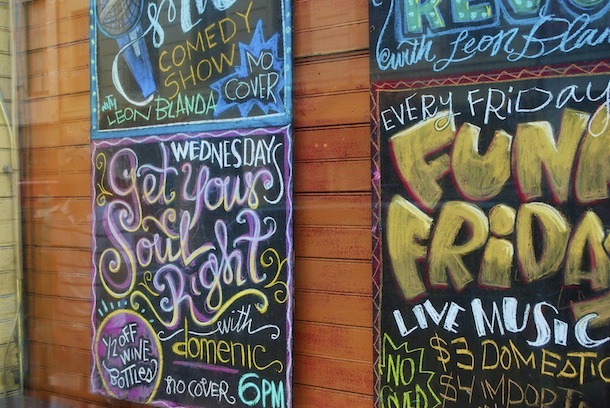 We kept wandering and eventually found ourselves on Frenchmen Street, which is a great place to go at night for live music (and much more relaxed than crazy ol' Bourbon). 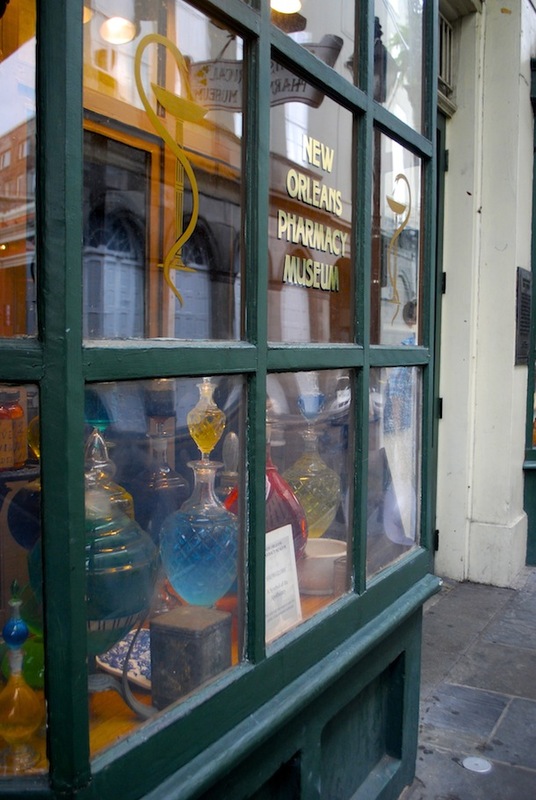 I wanted to go the New Orleans Pharmacy Museum as I'm fascinated by old time-y pharmacies (tinctures! linaments! ), but it was closed. 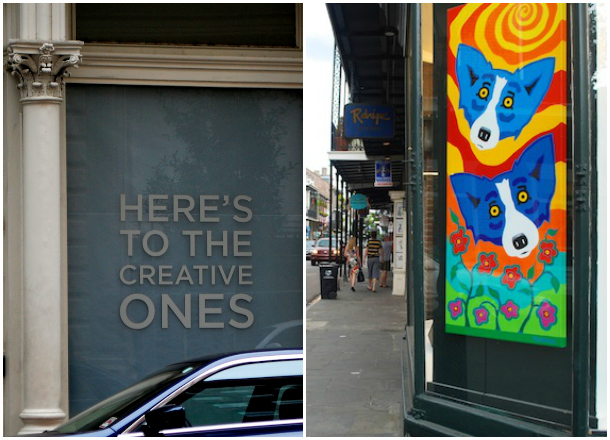 These blue dogs, by contemporary artist George Rodrigue, can be spotted all over the city. We saw them used in ads, on building murals, and on paintings in just about every restaurant we went to. We finally looked it up to learn more. The sign on the left was on a window across from our hotel, The International House. "Here's to the creative ones," is the hotel's motto, and they had large photographs and mixed media paintings of John Lennon, Steve Jobs, and Audrey Hepburn and others decorating their walls. 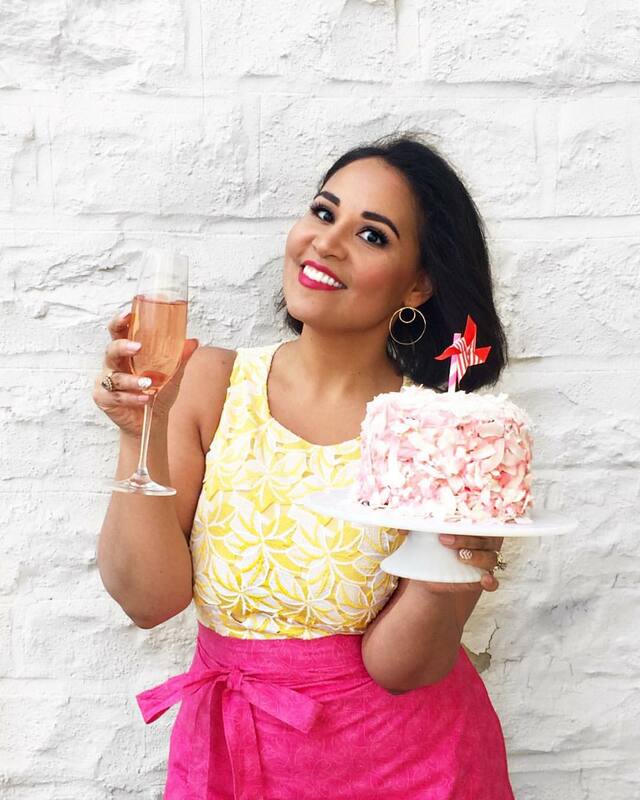 They also host regular events honoring talented creatives. (Check out their Pinterest page). Eugene wanted to see the "Mighty Mississippi," so the absolute last thing we did before leaving was walk over to the water to watch the riverboats go by. I can't wait to get back to this city.